This discussion usually involves rural property where the client’s house or cabin is miles from the main road and he/she has to cross someone else’s property to get to theirs. But sometimes it has to do with city property where access to the back or the side of the property is not contained in the client’s deed to the property. “Well,” I usually say, “You may have a right to prescriptive rights, but you probably don’t have prescriptive rights to cross someone else’s property.” There’s a difference, see? To obtain prescriptive rights to cross over someone else’s property, or have the prescriptive right to have water lines or utility lines across someone else’s property, a person must prove, in court, that they have crossed the property, openly, notoriously, and hostilely for a period in excess of 5 years. Just making the crossing does not confer prescriptive rights to continue doing it. You need a court’s judgment that you did, in fact, do all those things. “Openly” simply means that you didn’t confine your use of someone’s property through subterfuge. “Notoriously” means you did not use the property while disguising yourself as someone else. “Hostilely” means you used the property without permission. In essence, a person has to prove to the court that they made use of the other person’s property without regard for that person’s rights of ownership. You also have to prove the nature and extent of the use. You can’t acquire the right to run gravel trucks along a walking trail no matter how many times you walked along the trail. You may be able to obtain a right to walk on the trail consistent with your use over the 5-year period. Permission is frequently a defense to a lawsuit to obtain a prescriptive right. If someone lets you do what you are doing, and tells you that you have his/her permission to do it, proof of that permission will defeat a claim of prescriptive rights. The prescriptive period goes both ways. If you use someone else’s property without permission for the requisite 5 years, and then he/she posts the property and refuses to permit you to use it for 5 years, you would lose your right to obtain a prescriptive right. 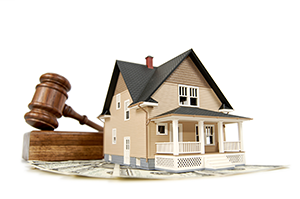 For all your questions requiring a Real Estate Lawyer, call the Law Offices of James F. DeMartini or submit a contact request here.